The World Health Assembly 2015 passed a very important and wide-ranging resolution on the Ebola epidemic. Here is the background. The World Health Organization (WHO), the health organization of the UN system, consists of the Secretariat (located in Geneva, in six regional offices and in around 150 country offices) and the member states. The Secretariat is managed by the Director-General, currently Dr Margaret Chan. 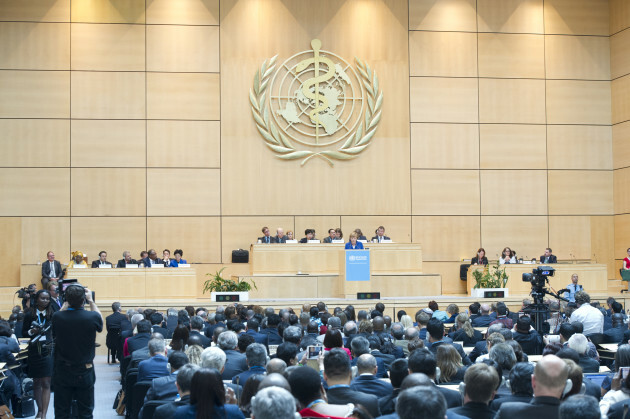 Every May, delegates from all member states gather in Geneva for the 8 day World Health Assembly (WHA), the supreme governing body of the WHO. It started in January when the Executive Board of the WHO held a special session on Ebola. The Secretariat had prepared two important background reports, one on the current status and challenges of the epidemic and one on ways to improve WHO’s capacity to prepare for and respond to future large-scale and sustained outbreaks and emergencies. In addition, several information documents guided the EB. Before the WHA, on April 16, WHO issued a leadership statement on the Ebola response and WHO reforms. At the start of the 68th WHA in May 2015, Dr Chan held her opening remarks, where Ebola was an important theme. The special guest, Chancellor Angela Merkel of Germany, dedicated much of her address to Ebola. One important background was also the first report from the Ebola Interim Assessment Panel, dated May 8. Several reports are under way. Then, in August, a new Ebola IHR Review Committee will meet for the first time and start preparing their report, scheduled for the WHA in May 2016. In December, the UN High-level Panel on the Global Response to Health Crises, will give its report to the Secretary-General of the UN. A non-WHO initiative, the Independent Panel on the Global Response to Ebola, will probably also inform the debate, with their report probably ready by late 2015 or early 2016. In January 2016, the Executive Board will meet. Ebola will again be an important agenda item. The discussions at the EB will prepare the discussions of Ebola at the 69th WHA in Geneva in May 2016. Here, the Director-General will report on the progress of reforming the work and culture of WHO in emergencies with health consequences, and establishing clear command and control across the WHO, as well as the contingency fund and emergency workforce. Find more documents and links on Ebola in our Ebola collection. Updated 7. July 2015 with link to final report of Interim Assessment Panel.